In a nutshell, an exit intent popup detects a visitor’s intent to exit and pops up an image or GIF in a last-ditch effort to convert. Here’s an interesting fact: Over 70% of your visitors visit your website for the first and last time. As a result, once they exit, BOOM, you lose them. Integrating quirky exit-intent popups can help you recover a whopping 10-15% of these lost visitors! Consequently, your customer base grows. 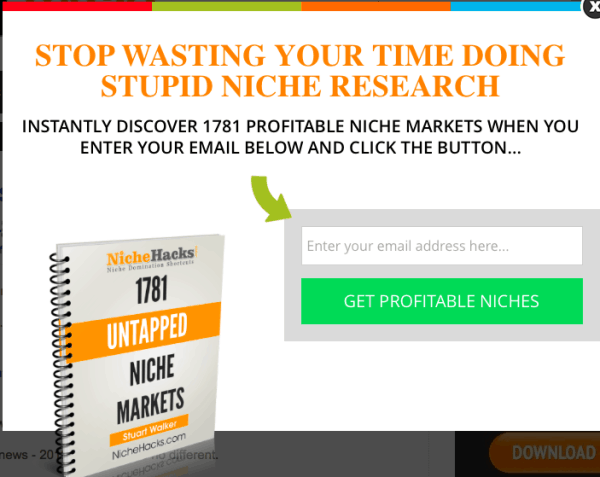 You might wonder why to choose exit intent popups over other traditional popups methods. This infographic throws light on the advantages and recommended practices of exit intent popups. 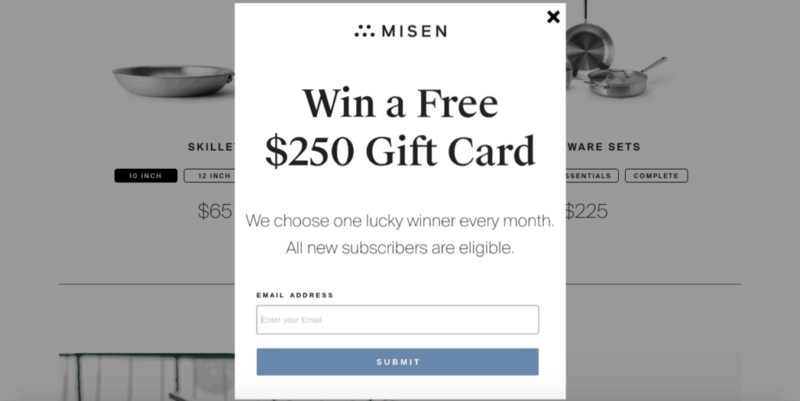 This article throws light on 15 popular exit-intent popups to help you generate multiple leads. The real reason people often engage in a “Block Popups” frenzy is let’s face it: Nobody likes adverts. One reason for all this hatred is the general aspect of most adverts. Imagine walking out of a grocery store, and a solicitor approaches you asking to sign his petition. If she said something cliché like, “Excuse me, would you like to save the Florida Panthers?”, like most people, you would get irritated. Now, imagine the same scenario except that the solicitor calls you by your name. Just for the sake of this discussion, let’s assume she found out your name somehow. Yes, this may sound creepy, but try to analyze this situation just for the reaction. If she calls you by your name and then asks you to sign a petition, you would probably feel more willing to do so. 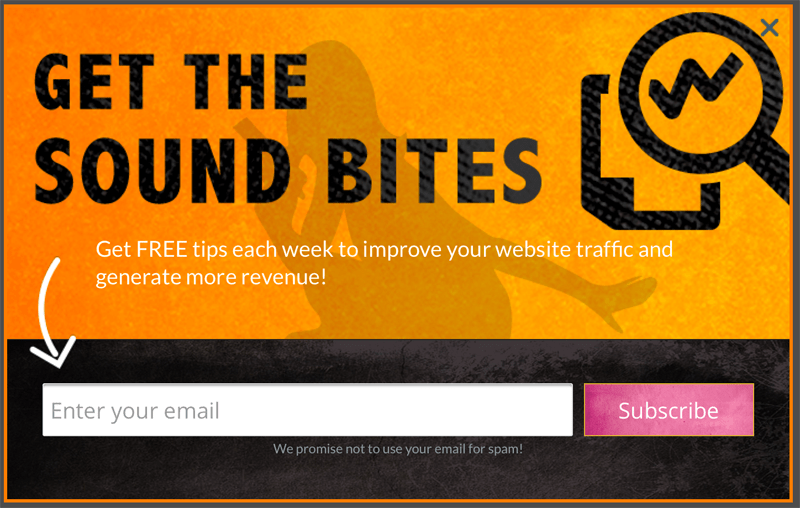 Addressing your visitors by their names is a sure shot way to make your exit-intent popups work. When visitors witness their names printed in vibrant and bold colors, they pause and probably even check out your business. Enter: Content Upgrades. This works like a game: You provide a specific “reward” upon entering details such as a name or email address. Content upgrades have helped skyrocket conversion rates. 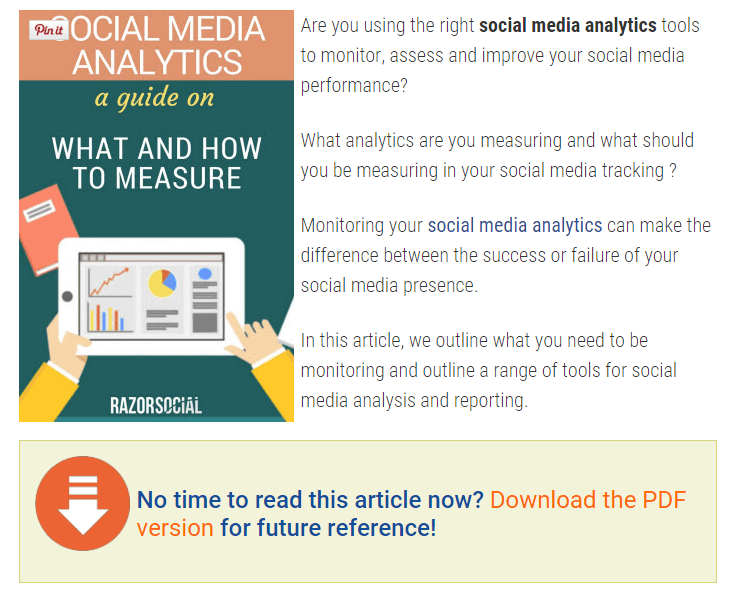 Here’s how RazorSocial boosted their conversions by a staggering 520%! A content upgrade is essentially a “power-up” or “level-up” that gives your visitors more information than what’s available on a particular blog post or web page. For instance, let’s say you own a self-help blog and posted on breaking bad habits. Now, the post might be a humongous one with several statistics and methodologies to follow. However, if you provide a downloadable “cheat sheet” right when your visitors are about to leave, you can get valuable information such as their name and email address. Boom! You just added a new member to your newsletter. And guess what? This new member isn’t going to mark you as spam. You have already won their trust in providing them real value in the form of a consolidated summary of the entire article. Similarly, you could offer tons of different kinds of content upgrades depending on the type of industry you operate in. Just as easy as it sounds, the “gift” your visitors receive is a downloadable PDF of the blog post. PDF content upgrades are a walk in the park: It’s the PDF version of your final draft. If you provide valuable content, your visitors will want to save all that rich content offline. Consequently, they could revisit your blog or website for other related information. If you are a coach and host webinars or interviews, gifting your recordings as a content upgrade is a fabulous idea. Your visitors will want to save your lectures or lessons and offering them a video or audio recording will get them hooked. This example offers audio podcasts on improving traffic in exchange for your email address. If you intend to teach something complicated, simplification provides tons of value. People love quick-start hacks and want to get off their feet ASAP. 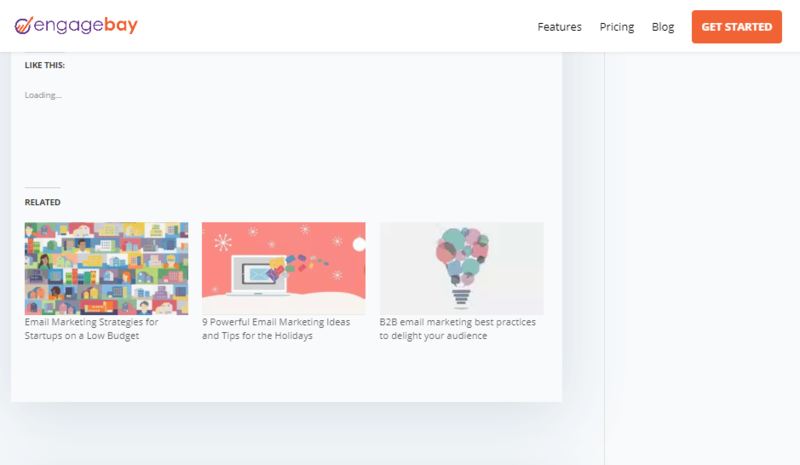 For instance, if your blog post talks about a cold email campaign, you could create a quick start guide entailing all the essential tips to get started right away. A blog or website is your online showroom: the longer visitors check out your “collection,” the better. Often, the objective is to minimize bounce rates and have visitors stay longer. 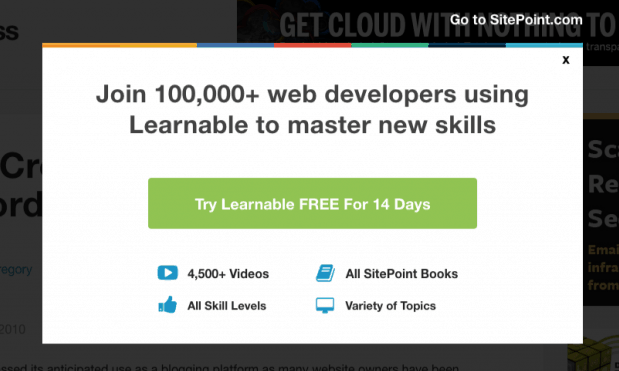 A super easy way to do that is creating an exit intent popup that suggests related blog posts. Know that if someone leers away from your website, it doesn’t necessarily mean that your content isn’t engaging. They probably got distracted by a Whatsapp message or an email notification. So, remind your visitors why they clicked on your blog post in the first place: to gain specific information about a certain something. As a result, displaying relevant posts or pages can help retain visitors on your website. The Zeigarnik Effect is a psychological phenomenon that causes people to feel uncomfortable upon witnessing incomplete things or situations. Several online marketers harness this powerful phenomenon to generate leads. Zeigarnik realized that waiters could remember huge lists of food orders and even match these orders to the right customers at the correct tables. However, as soon as customers received their food, the waiters would almost immediately forget the orders. Zeigarnik’s theory claims that those pending orders created a feeling of “incompleteness.” As a result, the waiters retained all that information. You too can engage the Zeigarnik Effect to your advantage by instilling a feeling of incompleteness in your visitors’ minds. By merely adding a progress bar reading 50% or anything less than 100%, your readers will want to do the necessary to get a full bar. It’s satisfactory to see a complete bar or the green light. LinkedIn follows this same approach quite effectively. The horizontal progress bar for profile strength intrigues users to complete their profiles. Here’s another gorgeous exit intent popup flaunting the half-filled progress bar. There’s certain psychology surrounding the word “wait.” This simple yet powerful verb gets visitors to wait and take notice. “Wait” instigates an overwhelmingly curious feeling. As a result, an exit intent popup using the word “wait” reminds visitors of what they would miss if navigated away. You could use this method on a product page or a landing page to attract leads. “Wait a second,” sounds like something off a thriller movie. Additionally, the color scheme for the “wait” part is green which triggers action. This is a classic deal that generates tons of engagements. An exit intent popup offering a discount is one that seldom goes unnoticed. Encourage visitors to surf through your store more in hopes of availing further discounts. Create a lingering effect on visitors’ minds that will make them return in the future. This is achievable by offering discount coupons redeemable by a certain date. You could email your new lead about a coupon’s expiration date. Along the way, you could also pitch in some new offers. This exit intent popup has a unique spin wheel effect that is too good to ignore. The stunning artwork coupled with the discounting aspect is quite lucrative. Discount exit intent popups are ultra-effective in “retaining” visitors about to exit your site. After all, who doesn’t like discounts? 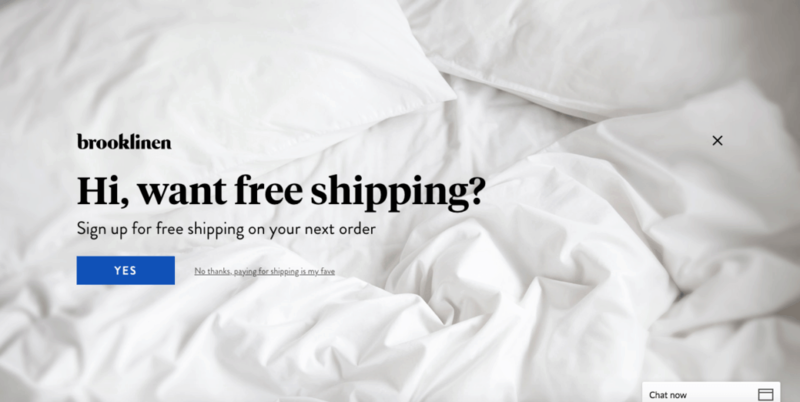 Nowadays, shoppers are obsessed with ordering products that offer free shipping. Apart from the apparent reduction in cost, it feels good to receive a product at no additional charges. People often think that shipping charges are unnecessary. Surprisingly, shipping costs are the #1 culprit for shopping cart abandonment. An exit intent popup offering free shipping has the potential to recover a staggering 44% of online shoppers. 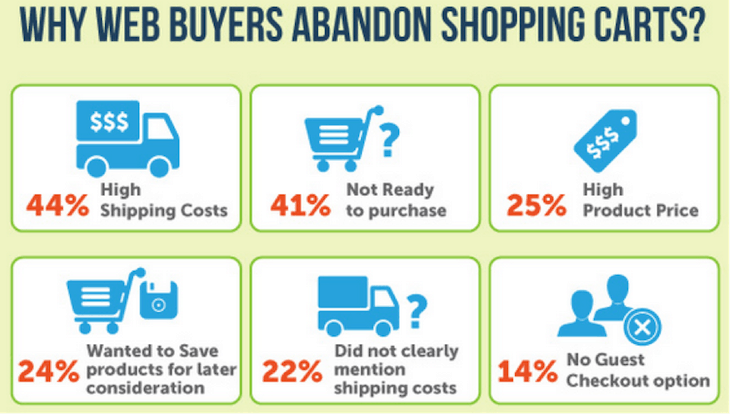 This infographic reveals major infamous factors leading to shopping cart abandonment. Provide a coupon for the free shipping inside the exit popup. Or provide a button that says “Apply code instantly” to direct the shopper back to the shopping cart page. This makes the entire process much more comfortable as the visitors don’t need to copy – paste the code. The only shortcoming to this method is that if the prospect fails to make a purchase, you lose their email address. However, you can give away the coupons directly on shopping cart pages and offer coupons on product pages in exchange for an email ID. This hilarious popup has a funny sentence right next to the “Yes” button. Moreover, all text is super conversational which strikes readers better. Procrastination is a natural human tendency: Be it doing the laundry or entering that email address. “Meh. I’ll do it later,” is what most think. However, later is bad for you because later usually becomes never. By adding a layer of urgency to an exit intent popup, you are essentially making the user take action ASAP. You are forcing the shopper to break that routine procrastinative loop because there’s a time element in the mix. When a visitor realizes that a certain offer or deal expires in a while, he/she will want to take action. Hence, if your exit-intent popup creates urgency, you are in for a treat! Include a live timer to the offer expiration date. There’s something ticking about live countdowns and it gets people moving. Include a #number denoting how many pieces or sales remain as per your offer. This calls for action better than anything. 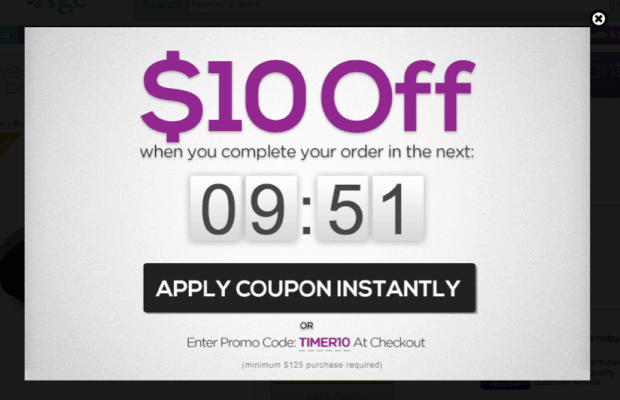 This popup gets the gears moving as visitors stand to lose a $10 discount in 10 minutes. This exit intent hack is a charm for eCommerce product web-pages and even checkout pages. Well, people sometimes tend to be skeptical about online purchases. You might have even convinced them, but the online sphere can hinder the establishment of full trust. If your visitors are like a cat on the wall, one small nudge can convert them into customers. 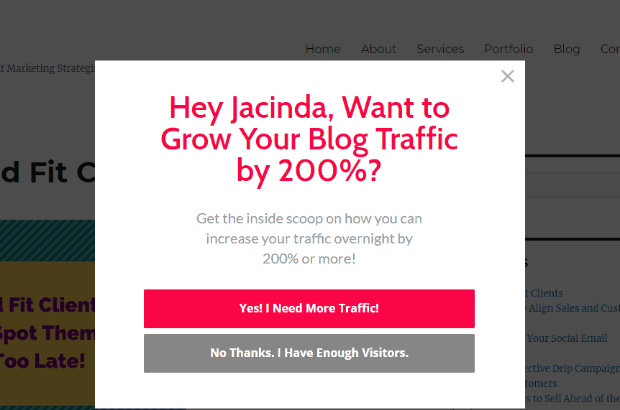 This little push is possible through an exit intent that specifically addresses certain objections of your visitors. Even if the purchase doesn’t happen, you can generate new leads which is pretty awesome too. A significant objection that shoppers regularly face is anxiety regarding a product or service. They worry about any possible regrets down the road. 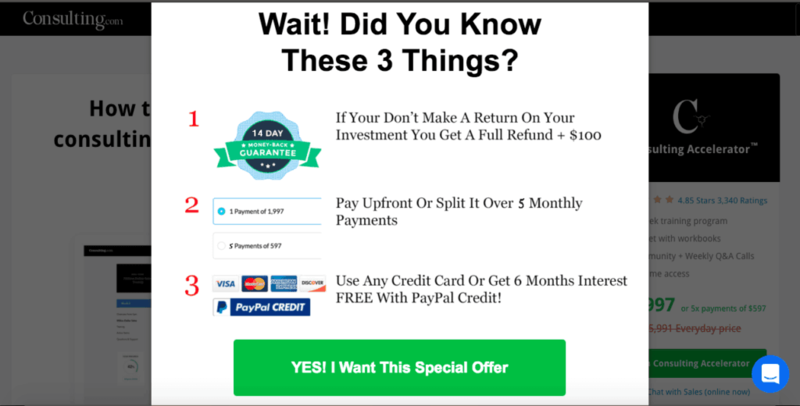 One simple way around this is to include a 30-day money back guarantee. This exit intent popup is pure genius! 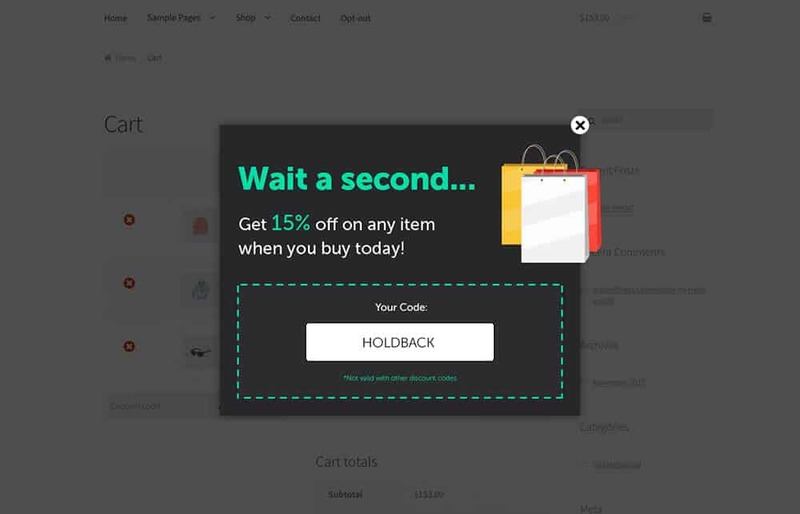 Quick Sprout manages to combine the “WAIT” and money-back-objection aspects to create a useful exit intent popup. Similarly, there are other objections that shoppers face regularly. Brainstorming to pinpoint these objections and crafting unique popups to deal with these objections is the key to an acquisition. This popup addresses three common objections: A full refund, possibility for split payments and credit card transactions. Numbers always add credibility. As a result, social proof surrounding numbers are effective in converting visitors into customers. People tend to look at others to make decisions. Knowing that several others benefited from a product or service will make it easier for visitors to decide. Here’s the bottom line: People like to have concrete evidence of everything: That’s how humans are wired. Harness this trait to your advantage. The brain always directs your eyes to the most attractive information. 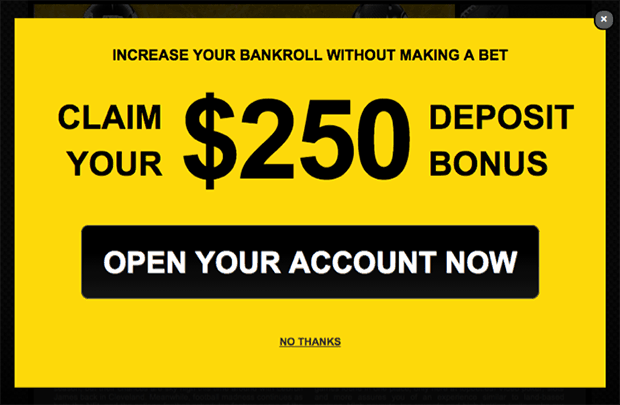 As a result, a gorgeous exit-intent popup can get eyes rolling. The underlying principle of catchy design is selective attention. Long story short: People hunt for stuff that stands out and ignore the rest. Arrows create a mini road map thus drawing precious attention to points of high prominence. Consequently, your readers will glance on what you offer. Exit intent popups with arrows are super effective, and you must give them a shot. Since, visually appealing elements stand out, adding animation is another excellent idea. 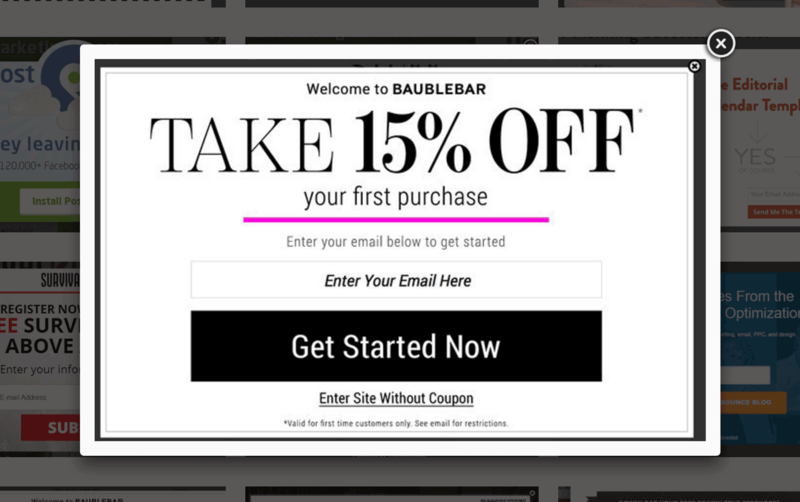 An animated exit-intent popup garners great attention and can convert visitors into leads. This example below a stunning yet simple animation guiding the visitors to the “right” choice. Human beings have a strong urge to maintain consistency. Once people make a certain decision, they try to stick by that decision regarding future related tasks. This tendency is called a “decision heuristic”: mental shortcuts for decision making. Just like any task, taking the first step involves the most resistance. However, if you take that first step, you overcome all starting resistance. As a result, you gain momentum and will eventually complete that task. Similarly, if you can make your visitors take the first step, the eventual steps become more manageable and achievable. If you manage to make that first step super easy, chances are your visitors will complete the following steps. Consider placing a straightforward call-to-action button on your exit intent popup before the actual opt-in form. Since there are no field boxes for email addresses, visitors will feel like clicking. Now, if you ask them for email addresses, chances are they will type it out. So, by placing a straightforward button up front, the probability of visitors subscribing or purchasing increases. This method is popularly known as the “Two Opt-In” strategy. Here’s an interesting variant of the opt-in method: Instead of one CTA button, you offer two. A “right” option and a “wrong” option. << 12 Tips to Optimize Your Email Calls to Action! This method works on the principle of the psychology of choice: When faced with a choice, people usually go with the same type of response. People like choices: It provides a sense of control and power. So, if you can give people choices and make the “right” choice to stand out, you win. To make this exit-intent popup effective, your “right” choice must be crisp, tacky, convincing and promising. Your visitors shouldn’t even think about the other choice: That’s how demanding the “Right” choice must be. Another important feature is the color of your call to action buttons. Psychology shows that certain colors trigger particular emotions. By using a vibrant and bright shade, you are portraying a positive and active message. Ensure that you dull out the other option to the maximum. Why do casinos overflow with people in spite of low win rates? It’s because everybody loves the anticipation of winning. However, for you, it’s an addition of a valuable lead. You might feel like it’s only the winners who steal the spotlight. Additionally, elements like the wait, winner announcements, etc. all make the “losers” crave your product more. Consequently, these visitors might buy your product. Any contest will do: Just pick a definite mode of entry and prize. Holding contests helps capture leads without price slashes and free shipping. 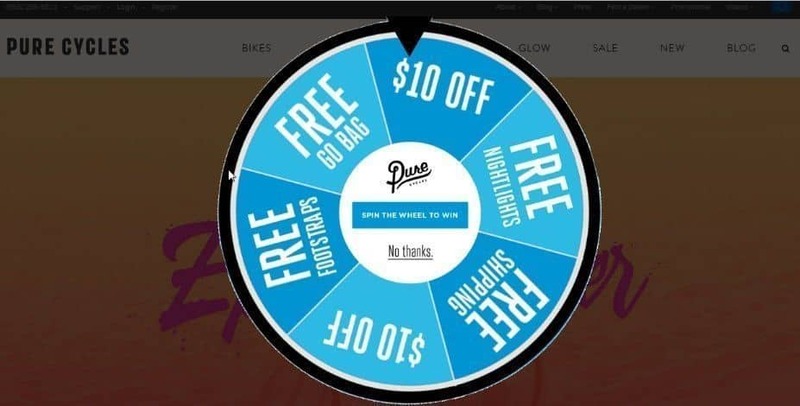 Exit-intent popups are vital in trying to convert a visitor one last time. Sometimes, it’s just that extra bit of effort that makes all the difference. Try experimenting with a few of the above-mentioned exit intent popup techniques. Additionally, you could use a combination and craft your own ideal recipe. If you are looking for an extremely versatile and powerful marketing platform, EngageBay has got you covered. With super easy tools and unparalleled quality, EngageBay strives to improve your online presence exponentially.